Selling a property in the winter months in Minnesota can be complicated, especially if the property is vacant. 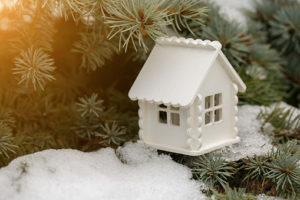 While selling a vacant home has advantages, such as being able to be viewed at the convenience of the agent and potential buyer, the combination of colder weather and an uninhabited home presents some interesting challenges. Here are several items to consider when you’re living in a different location from the property you’re selling. Our current cold temperatures can bring an excess of troubles to a home, including broken water pipes, frozen plumbing, or even problems with ice dams and roof damage. Some of these issues can cause extensive deterioration to a home that may not necessarily be covered by your homeowners policy. You may want to consider appointing a property manager to watch over the home. Before your home is shown to a potential buyer, you will want to ensure any mail or newspapers are cleaned up. Make sure sidewalks are shoveled and an appearance is given that the home is being lived in. Prior to the showing, set the heat to a comfortable level (70 degrees is comfy) to make your home inviting and cozy when buyers enter. Place a mat close to the door, with a sign requesting “shoe removal” before entering further into the home. Homes that are visibly vacant can be a draw for thieves or vandals. Make sure you have an installed security system and motion lights. If you have the budget to install cameras, you’ll be able to peer in on your home whenever you’d like. Check the home weekly (or more often during these sub-zero days). Check locks, both on doors and windows to ensure the property is secure. Think about installing a security system with a freeze warning alert, so if the temps get to a dangerous level, problems can be addressed immediately. Leave the light on (No, not just the tagline for Motel 6) – leaving a light on both the interior and exterior can deter thieves. When on social media, never mention that your home is unoccupied. Taking a few planned, preventive steps can ensure your property stays safe and sound. If you have questions about selling your home, please don’t hesitate to call Ryan DeRoode at (651) 503-4158.